This Universe is a x-over between The Faculty (movie) and Jeremiah (TV-series). You don't need to know anything about Jeremiah nor The Faculty to read these stories, but if you do some elements will be quite familiar to you. Please notice: Not movie conform. Short summary: Casey had been able to fight the alien queen who tried to take over the world, but her death released a virus which killed almost everyone older than twenty. Casey & Zeke are on the road since some months, looking for a place named 'Thunder Mountain'. "It's a mixture of a pub and a whorehouse," Michelle had warned them. "But don't let yourself be fooled. The owner is a big guy with a booming voice, but he is quite okay. You can trust him. Give him this note and he will let you go downstairs. 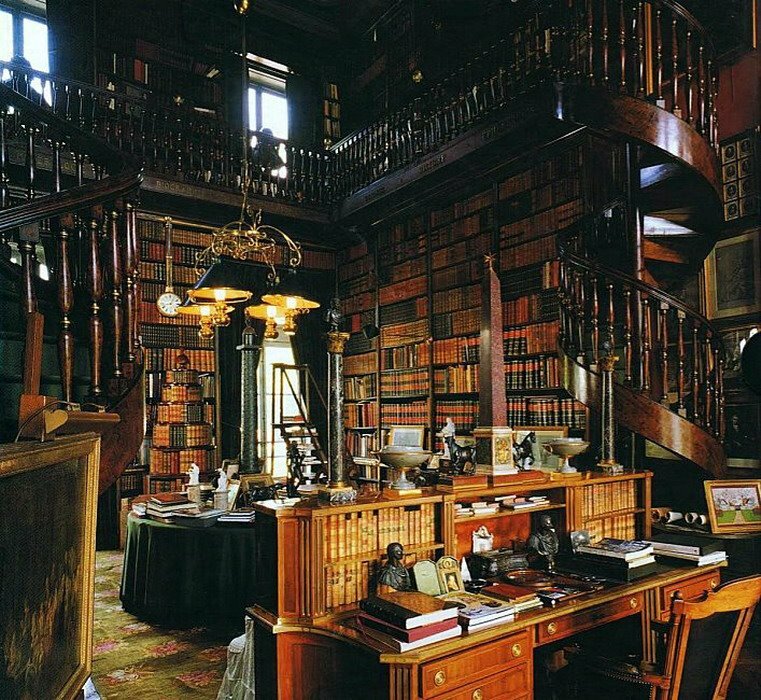 If there is any place around to find pieces of information it is the library of the mansion. Whenever I find some documents about the old times I take them there to keep them safe." Zeke had looked at her doubtfully. That didn't sound very plausible. A library, a place full of books and documents, in a whorehouse? They had passed a lot of places, towns, villages during the last months and it was always the same. Destroyed, plundered houses, shops, churches ... and libraries. During these times everything was somehow useful, books meant paper, paper you could use to keep yourself warm. No one thought about it that all that got destroyed would be gone forever; everyone just wanted to survive the next day. The young woman had smiled, as if she could read his mind and pointed at the wall behind him. A wall covered with all kind of pictures and paintings; on the mantelpiece of the old fireplace two old vases and a silver candlestick. Casey couldn't take his eyes away, with sparkling eyes he had been standing there, taking in the beauty. "There was a time I was thinking like you," Michelle had told Zeke. "I was responsible for other people, and I took what was needed to make sure that we could survive. I was pretty good with it, you know, we only lost two guys within a year because of a stupid accident. But one day I ended up in an old monastery, some miles away from the town. It felt like a shock when I discovered that everything was almost untouched. Because someone had protected it. All the time. An old monk, he had survived the Big Death by sealing himself off from the world outside. He called himself the Guardian of the Past. Two nights later he died. And I was the only one who still knew about all the treasures. Enough to ensure the surviving for all of us. The winter was coming, one of the women was pregnant, we needed more blankets and bullets for the guns. But all to took with me was the food and some firewood. The rest I kept secret. In the meantime, there are three more places like the monastery; the library is one of them. Whenever I find a work of art I try to save it; sometimes I even pay for it, with food, water, clothes." Suddenly she had looked sad. "I'm a good leader, you know, I take care of my folk. But I'm not completely honest with them anymore. I'm afraid, they wouldn't understand what I'm doing." Zeke had kept quiet. A part of him thought that her behavior was pretty stupid. This was not the time for sentiment. The old world was gone forever and no one could need paintings and old books anymore. You needed to let loose if you wanted to survive. He had realized this soon enough during the first weeks and months after the Big Death. Without him, a lot of people at the Merriot Hotel in Herrington wouldn't be alive anymore. He had been the one who had gathered food, fresh water, gas, and batteries; more than they needed for the moment; fully aware that everything they had taken for granted throughout their life would be gone soon enough. For sure he wouldn't have hesitated even for a moment to treat in all he did found somewhere in a monastery or elsewhere. Then his eyes were fallen on Casey who was still standing in front of the wall with the pictures and paintings with sparkling eyes. And he had known it: Casey was different. Casey had changed him. And he was able to understand what was going on in Michelle. The excessive noise hit them the moment they entered the main house. The hall was filled with smoke from an open fireplace, a skewer of meat was hang up over it; a young boy turned the crank on and on. Casey preferred not to think about it what animal it might be; it didn't look as if anyone here was very picky. On stage, a band was playing. If you wanted to call the noise the three guys produced on a badly tuned guitar and an improvisational drum set some kind of music. Three or four more or less unclothed girls were moving around the room, screaming and laughing when one of the guys grabbed for them. Most of them in a drunk state. One thing Zeke had to acknowledge: whatever the innkeeper served, it seemed to be worth its price. The big, broad-shouldered guy with a full beard stood behind a long wooden bar counter. The upper half was protected with a monitoring grid, two small windows could be opened and closed when needed, the small grilled door locked with a heavy chain. Two guns, visible for everyone, on the table behind him. The guy was not stupid. It was a dangerous business. Two or three dozen drunk guys who did spend too much time alone on the roads; a handful of girls, half naked and obviously ready for everything, this outright cried for problems. Zeke glanced at Casey, he knew well enough that he felt uncomfortable in places like this. And to be honest, Zeke wasn't even sure that they were at the right place. When a hidden library had ever existed here, it was probably long gone. Maybe it was better to leave before they attracted too much attention. But the determined glint in Casey's eyes told volumes. "We should at least ask him," he said as if he could read Zeke's mind; forcing his way through the overcrowded room. Zeke followed him without hesitation; no way that he would lose sight of him here. The guy behind the bar eyed them with cautious narrowed eyes. "Or Whiskey? I accept tobacco and tins, sugar and milk powder." Then a slight grin showed up on his lips while he looked at Casey. "What's with you? Ever had fun with a girl? Maybe I can help you." Zeke stiffened but before he could step in, Casey chuckled slightly. Usually he had good instincts, and Zeke decided to keep quiet, at least for the moment. "No, thanks. I'm more interested in information." "What am I, an inquiry office?" "I guess you are a guy with secrets. Michelle told us about you." Beside of a slight flickering in his eyes, the guy stayed unmoved. "Michelle, huh? Nice name. When she is just as cute, I'm interested." "I'm afraid she's much too smart to waste her time in a place like this," Zeke dropped in. "She gave us this for you." Slowly he pushed Michelle's note through the small window. The guy studied it for a long time, finally, he looked up and nodded slowly. "Okay. To put a long story short: I don't trust you. I actually trust no one. Beside of Michelle. Even if I can't understand why she's doing all that, she is special. Try to cheat on her, hurt her and you will have a problem." Casey smiled at him openly. "We won't do anything that can harm her," he promised. "We are just looking for information. Michelle thinks maybe we can find some answers here." "Thunder Mountain. Ever heard about this place?" He glanced over to the crowded tables, the drunk guys, the girls, and finally pulled the face. "Though they are living pretty much cut off from the outside world. Try to keep their existence secret. But guys get drunk, have some fun ... and they start to talk. It's somewhere out there in the mountains, northwards." Casey paled and grabbed for Zeke's arm. "So we are finally on the right track." Maybe. Maybe not. Zeke wasn't easily convinced. At the beginning of their trip, he had been sure that Casey was chasing the product of a crackpot. In the meantime he had changed his mind; there were too many rumors about this mysterious place; it did exist, at least it had existed once. But he still wasn't sure what would await them when they finally reached it. Casey did believe that it was his mission to find Thunder Mountain. But what then? He wasn't sure that they would get welcomed with open arms. Zeke turned back to the guy behind the bar. "Have you ever been there," he asked. "Do you know how to get there?" "I'm not looking for asylum and I can take care of myself. No interested to hook up with others." "Get it. What's with the library Michelle had talked about?" Reluctantly the guy pointed at a small door behind him. "It exists. Back there. Because not many people know about it." The hidden threat in his voice was impossible to ignore. Thanks. I still like to play around in my Reboot Universe. And the prompt pic for perfect.